I had a lot of fun making my Giant Block Quilt this month. 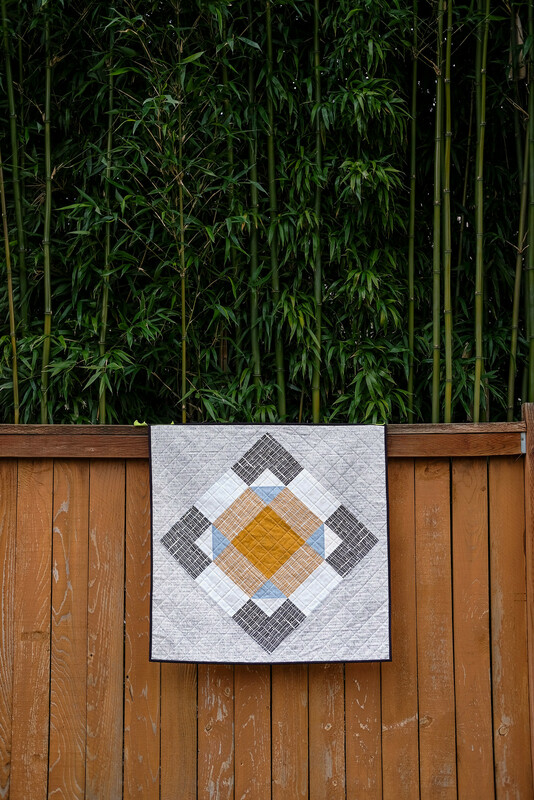 I knew that I wanted to do a quick, single block quilt (this is the 24" block) and I knew that (after recently making this quilt) I wanted to use some Carolyn Friedlander fabrics. I love her fabrics so much. 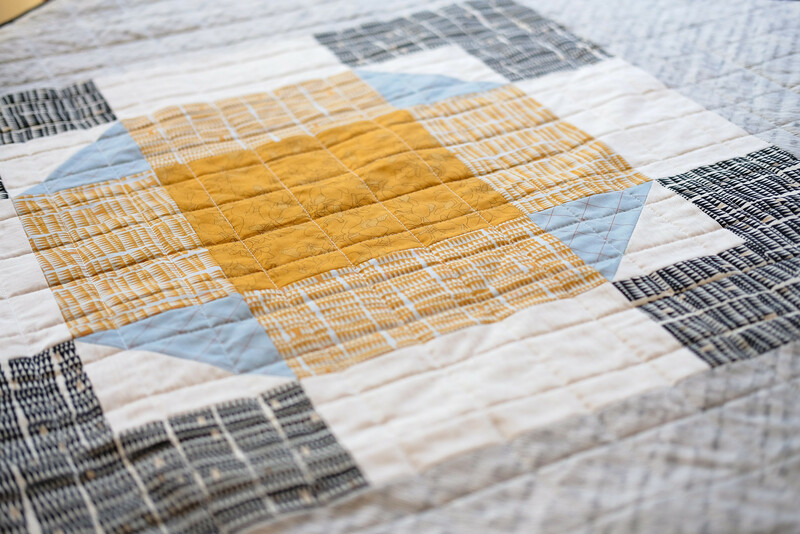 The collections work well together and they give the quilts really cool dimension. They are really fun in the large scale of this block. For the backing, I used Carolyn Friedlander's Crisscross. 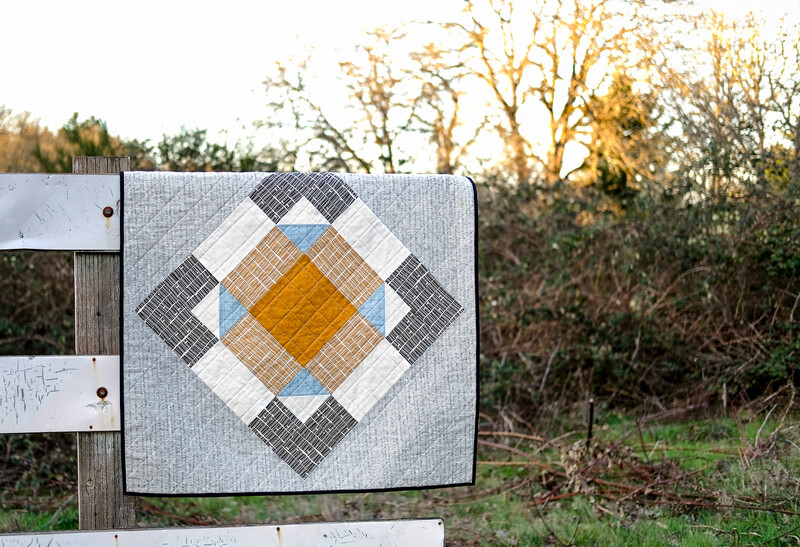 It is 108" wide, and I have been slowly using it up in different projects. Love it! 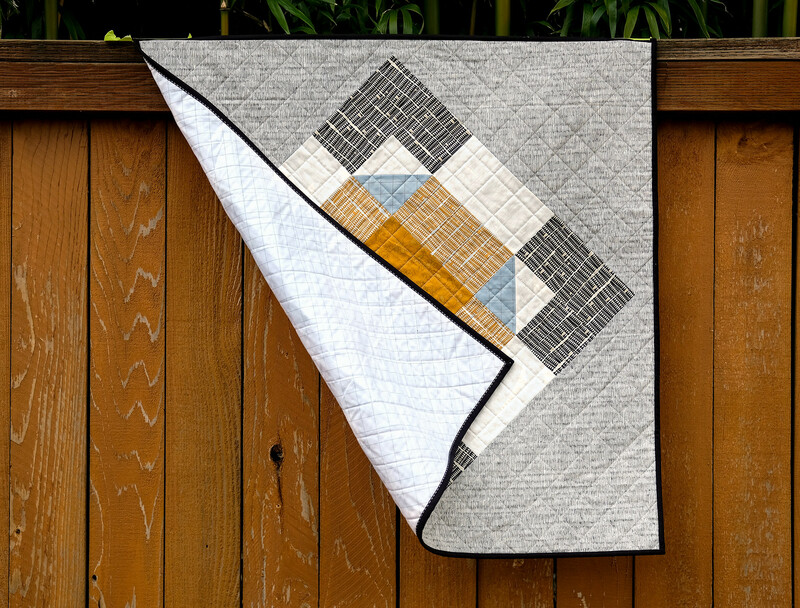 I really like that the quilt looks a little like a barn quilt and I think I am going to find a place to hang it in my house. 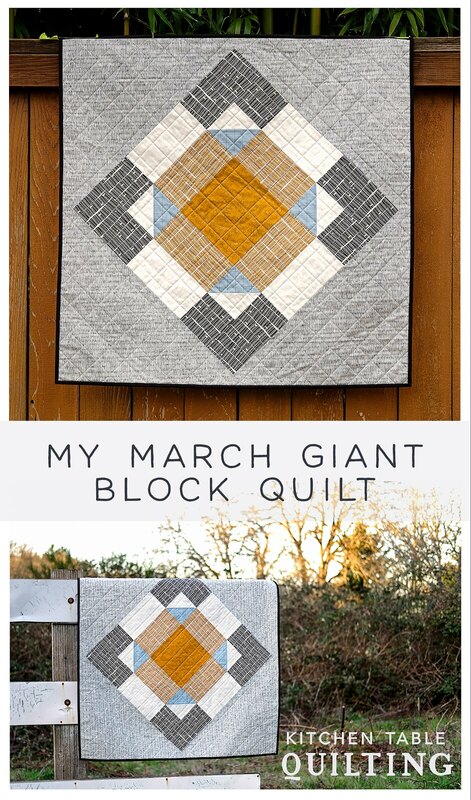 If you would like to make your own project using this block, you find find the March Block Tutorial here or you can download a printable PDF of the tutorial (for free) in my shop. Love the block and the backing! 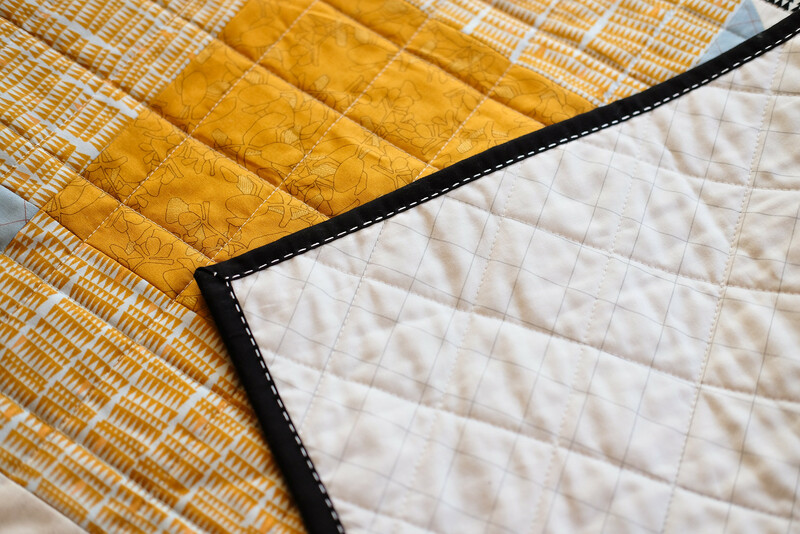 So easy to follow those lines and quilt your quilt! 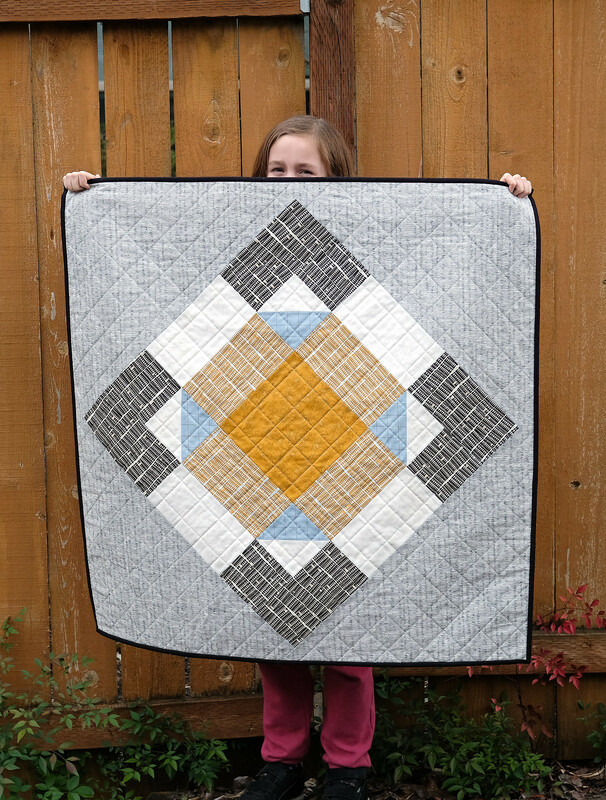 Love the Giant Block and your use of it in this quilt. 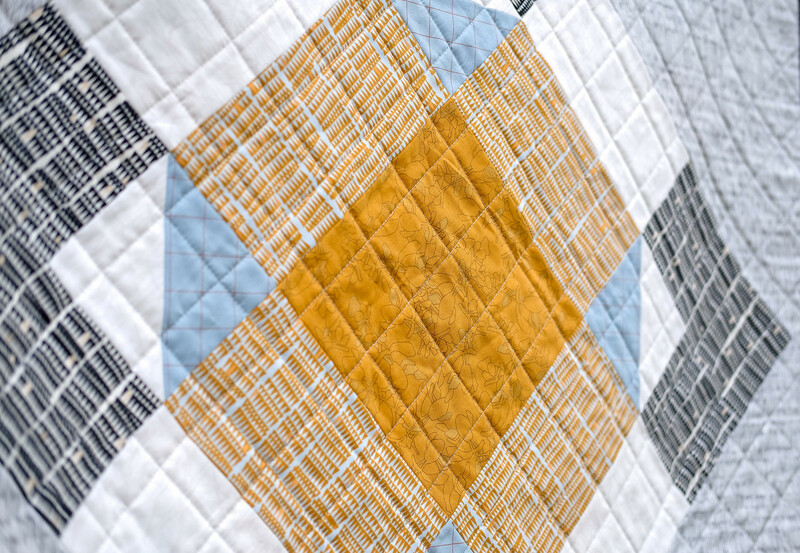 As a new quilter, I can't usually tell how something is constructed. Do you mind if I ask...did you applique the block onto a background, or is it pieced? Thank you! It is pieced. It's really beautiful. I'm inspired to try it myself. Really beautiful! I just sent a quilt to the long arm shop and am hand quilting a tulip wall hanging. This is a lovely block! How do you figure the corner pieces to set it on point. I don’t see that in the directions. love your giant blocks. I like to make lap quilts and these blocks are just the thing. Thank you, Im so happy I came across your company. Love the fabric choices! It’s beautiful!